imagenetix (the makers of Celadrin) are claiming in a federal lawsuit that walgreens fraudulently submitted rr's for reimbursement. 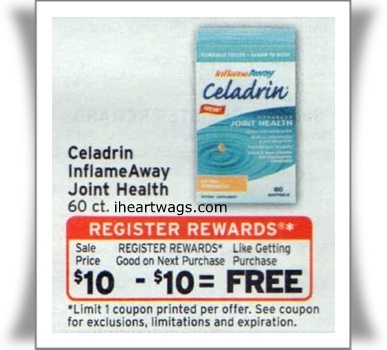 the week of 3/20/11, celadrin was on sale for $10 and free after rr. 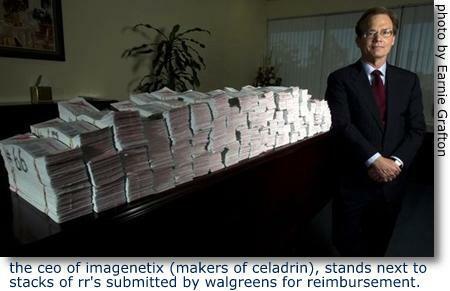 walgreens billed Imagenetix $533,000 for celadrin rr's redeemed plus $188,000 in processing fees. 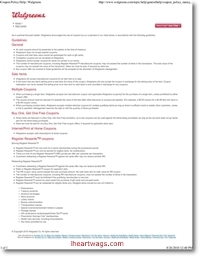 unlike some vendors, imagenetix didn’t use a clearinghouse to process the coupons so they actually saw the rr's and had an opportunity to inspect them. imagenetix found the rr's submitted suspicious because they were in perfect condition and some were in consecutive order. they also found duplicates and triplicates, even though each coupon should have been unique. the lawsuit also said Walgreens claimed an "implausibly high redemption rate" - over 95% of the coupons issued were redeemed. 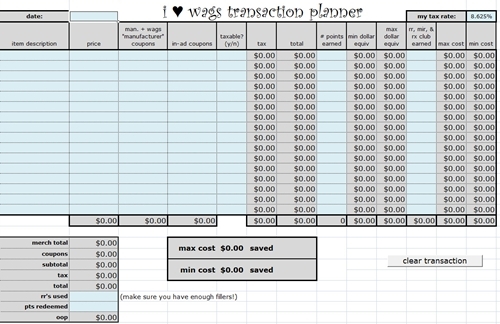 an audit showed that more than 1,000 wags stores claimed to have issued more coupons than the number of bottles they had in stock! each store location had an average of 8-10 bottles in stock, but seven stores had issued more than 100 celadrin rr's each. one store issued 1,306 celadrin rr's! walgreens spokeswoman Vivika Panagiotakakos stated “At this time, we have no reason to believe these allegations are true.” she declined to answer any further questions. as far as the rr's being in perfect condition, the argument could be made that this was due to overzealous couponers earning and redeeming the rr's immediately. 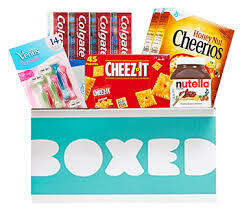 i'm sure there were couponers using rr's from celadrin on other items (perhaps the tena for $9.99, also free after rr that week) and then using the new rr's to buy more celadrin, and so on. doing multiple transactions like this would mean many rr's weren't stuffed into pockets or purses between being earned and being redeemed. this could also explain the consecutive order of many of the rr's, as well as the high redemption rate. i don't believe this is a very popular product, and i would not find it hard to believe that 95-99% of the sales of celadrin at wags that week were by couponers who were buying it strictly for the rr. and not many couponers are going to let a $10 rr expire without using it. but then we come to the audit. if it is true that stores were giving out so many more celadrin rr's than they actually had product to sell... well that looks really bad. how could they possibly issue rr's for product that they didn't have? to give the store employees the benefit of the doubt, i imagine they may have rung up celadrin for some customers to pay for in advance, receive the rr, and then pick up the product at a later date when it was back in stock. this is sometimes done because the catalina system does not print rr's for rainchecks. but for this to be done on such a large scale seems unlikely. what seems more likely, unfortunately, is that employees at some stores were gaming the system by ringing up celadrin to get the rr to print and then returning it or voiding the sale afterwards while keeping and using the rr. i'm sure most employees would not do this, but out of walgreen's 7,000 + locations i could believe this type of thing was going on at the seven stores singled out by the audit. perhaps the other stores had only issued one or two rr's more than they supposedly had product in stock, which could be explained by incorrect inventory numbers or "raincheck" situations. the store that issued 1,306 celadrin rr's certainly has some explaining to do!